The No. 3 Virginia Cavaliers hang on! Despite a tough challenge from ​the No. 23 NC State Wolfpack, the Cavs held on in overtime to win 66-65 on Tuesday night. The game was tightly contested, as​ the Cavaliers held a narrow 27-23 lead heading into halftime. However, the Wolfpack would not go down quietly, as they outscored Virginia 32-28 in the second half in order to send the game into overtime. Extra time followed the theme of the entire game, as both teams matched each other on the offensive end. NC State's Markell Johnson would hit an early three-pointer, but the lead didn't last long for the Wolfpack, as Virginia's Jay Huff successfully dunked and got the and-one to tie things up. The Cavaliers would extend their lead in the final two minutes of overtime, thanks to a three-pointer from Kyle Guy. Yet, the Wolfpack would not go quietly, as Braxton Beverly made a two-point shot to pull them to within one. However, thanks to a Torin Dorin, the Cavaliers extended their point total to 66 with successful free throw attempts. That would be all she wrote for the Wolfpack, as they lost out on the upset opportunity when Markell Johnson failed to make the first of three free throws after he was fouled on a three-point attempt with under a second to go. 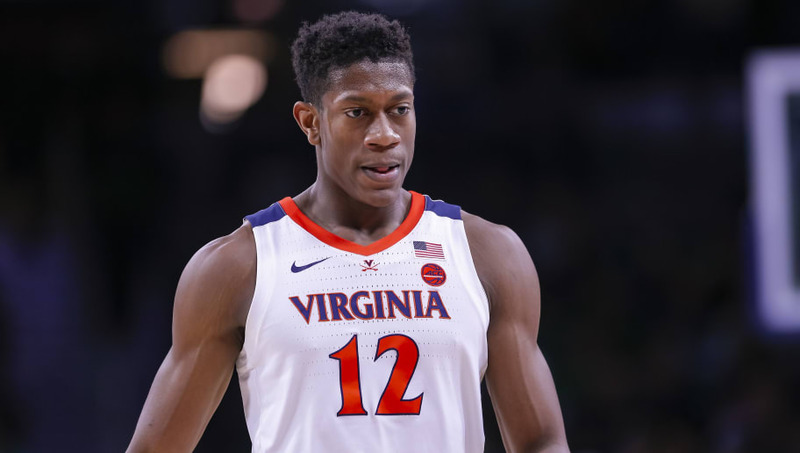 De'Andre Hunter led the way for the Cavaliers, as he registered 15 points, 5 rebounds, and 4 assists. As for the Wolfpack, enough can't be said for Johnson, who tallied 14 points, 6 rebounds, and 3 steals. Virginia's next game is Saturday, where they will face off against the Miami Hurricanes. As for NC State, they play the No. 12-ranked Virginia Tech Hokies that afternoon as well.